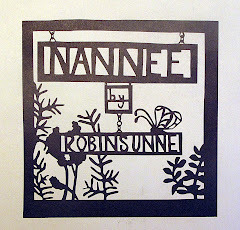 Robinsunne: I'm going to be on the radio!!!!! I'm going to be on the radio!!!!! This is so exciting! I am going to be on the radio at WERU ( http://weru.org/, for those of you in reach of their webstream ... well, all of you!) 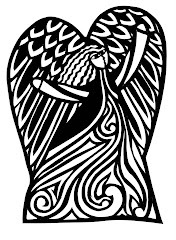 Check it out: Wednesday, March 19th, on Cathy Melio's show: Off The Cuff, from 2:00 - 4:00 PM, I think that I will be on a little later in the program. Cathy, in her day job, is the Education Director at the Center for Maine Contemporary Crafts, a gallery in Rockport just down the street from the Library. We saw each other at the Library a while back when I was there setting up the ATC Swap. 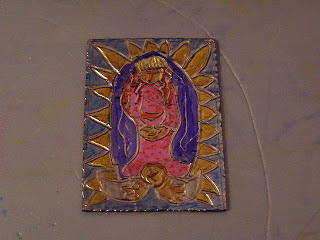 Cathy and I have been artist acquaintences for a long time. Cathy was instrumental in bringing the Altered Book art show to the community last fall. Anywhooo, Cathy invited me to speak on her radio show and we have just confirmed the date of the 19th. 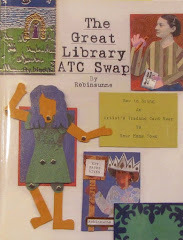 I will be telling the story of The ATC Swap at the Library, explaining a bit about how to make ATC's, and, in general, enthusing with Cathy about how art makes the world go round. 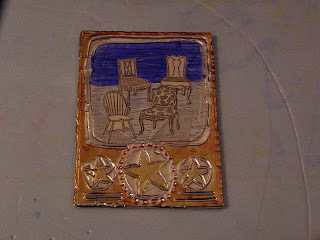 An interesting note about this one - which is made on metal tape, more info on that on the ATC page at http://robinsunne.com - is that the chairs are leftovers from one of the altered books that I made for the Rockport Library's altered book art show, the one that Cathy Melio helped to stage, y'know... These chairs were on the rolled paper beads, that made the necklace, that resides in the encylopedia/jewelry box, that is available for loan now at the Library. 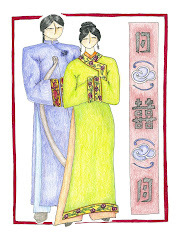 And here is another ATC: "My Lady"